If you have a store, you’ll be able to post your item in your store, on the website as an auction or both.List In will only be visible if you have a store. Product Type Listings will allow the bidder to purchase items for a set price right away.If you select Product Type, you’ll be prompted to enter the quantity of items for sale. Auction Type Listings will allow the item to be bid on by multiple people for a certain number of days. Select a Main Category (required) and Additional Category (optional) for your item.Categories are relatively general.Should a more detailed category be needed please contact webmaster@cartoonfreakboutique.com BEFORE posting your auction and your request for a more detailed category will be considered, however not promised. Enter a descriptive title of your cartoon collectible.We suggest including the cartoon character name in the title along with a short description of what you’re selling. Describe the cartoon item you’re selling with as much detail as possible.Include words in your description that might be included in an internet search.We highly recommend including the cartoon character’s name and production studio.Remember, cartoon collectors are specific and “freaks” about what they collect – help them find your item. Be sure to specify if the item has any imperfections, mares, scratches, flaws, cracks, chips, etc.Also include the smell of your item.Some buyers may not wish to bid on an item that smell of cigarettes, pet odors or basement mustiness. If the item being listed is Pre-owned or New with Defects including a description of the actual condition will help in the satisfaction of the buyer once they receive the item and reduce the chance that a refund will be requested. The seller is responsible for the description of the item.Realize omission of critical information about the item’s condition or working manner may cause the buyer to return the item.Neither COLLECTOR FREAK BOUTIQUE (Freakbo Holdings, Inc.) nor CARTOON FREAK BOUTIQUE is responsible for the misrepresentation of the items for sale. You may include up to 15 FREE photos of your cartoon collectible so show as many angles and details as possible (including any imperfections). Collectors many times will be interested in dates and manufactures.Consider using a photo of tags or date stamps. YOU MUST UPLOAD AT LEAST ONE PHOTO TO BE ABLE TO CONTINUE THE LISTING. Click the Next Step Button to go to the next screen and set of questions. Enter the starting selling price for your cartoon item. By enabling reserve, the auction won’t have any winner(s) unless their bids are above the reserve price. This amount is hidden for the bidders. If you enable Reserve Price, you’ll be prompted for a reserve starting price.There may be an additional fee for this feature. If you enable Buy Out, users will be able to purchase your cartoon item instantly, without the need for the auction end time to be reached. If you enable Buy Out, you’ll be prompted for a selling price.There may be an additional fee for this feature. If you enable Accept Offers, you’ll be prompted for a Minimum Offer Range and a Maximum Offer Range which is you’ll accept.There may be an additional fee for this feature. Select from either Use the built-in proportional increments table (default) or Enter your custom increment amount.If you select a custom increment, you’ll be prompted to enter in an increment dollar amount. Start Time – Select from starting the auction as soon as the listing is finished (Now) or a custom time.If you select a custom start time, you’ll be prompted to select a date and starting time. End Time – Select from standard durations of days; 1-3, 7, 14, 30, 60 or 1-year.You may also select custom end time in which case you’ll be prompted to select an ending date and time. By enabling this option, bidders on this auction will be hidden to site users, and only you (the owner of the auction) will be able to see the usernames of the bidders. Bid amounts will still be visible. Feature on home page – Your item will appear in the Featured item slider on the home page of the auction website.There may be an additional fee for this feature. Feature on category page – Your item will be featured highlighted at the top of the page for the category section it was assigned to.There may be an additional fee for this feature. Highlight listing – Your item will have a light yellow highlight around the listing to help it stand out.There may be an additional fee for this feature. Enable Auto Relist – If enable Auto Relist is selected, you’ll be prompted to enter the number of times the item will be relisted automatically if it doesn’t sell.The maximum number of auto relists allowed is 50. You’ll also be allowed to select if you’d like the item relisted even if it does sell.This is useful if you have several of the same item but only want one auction active at a time. You’ll be prompted to select the Country and State from where the item is being shipped and enter the zip code/postal code it is originating in. You can set default setting for your locations in the Members Area --> Selling (Tab) --> Sellers Tools --> Global Settings. Click the Next Step Button to go to the next screen and set of questions.Click the Previous Step Button if you need to edit the previous screen’s information.The current screen’s information will be retained. Pickups – Indicate if the buyer is able to pick-up the item by selecting; Buyer can pick-up, No pick-ups or Buyer must pick-up (which means you will not ship the item). Postage - You may enter in one or multiple shipping methods and the price associated with each postage option. Insurance - Enter the insurance amount that applies to this item (optional). Shipping Instruction - Enter any shipping instructions or a message that might apply for your item (optional). Accept Returns - Check the above checkbox if you will be accepting returns for the item.If you select to accept returns, you’ll be prompted to enter any details about your return policy (optional). Direct Payment (between you and the buyer) - Select any direct payment methods that can be used to pay for this item. Offline Payment (between you and the buyer) - Select any payment methods that the buyer might use to pay for the item.The payment through these payment methods will be handled offline. Click the Next Step Button to go to the next screen and set of questions. Click the Previous Step Button if you need to edit the previous screen’s information.The current screen’s information will be retained. Review all of the information you have entered for the auction.Also review any Listing Setup Fee and the Terms and Conditions associated with the listing.ONCE YOU CLICK THE LIST NOW BUTTON YOU ARE RESPONSIBLE FOR PAYING CARTOON FREAK BOUTIQUE FOR THESE FEES. 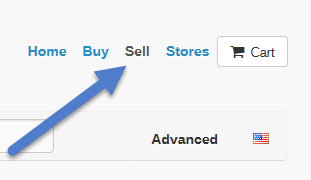 Click the List Now Button to finish listing your item.You may also create a Draft Listing which can be used as a starting point for future auctions.